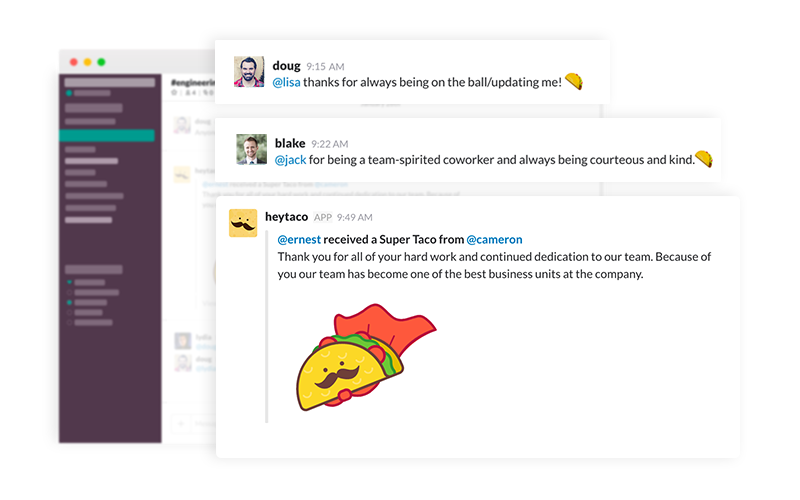 In February 2016, someone gave the world’s first appreciation taco using our Slack app HeyTaco!. Over 3.7M tacos and 24 months later, our two-person business has been profitable for seven consecutive months. The journey began with a passion for building “feel good” software and helping people feel more appreciated. Our mission at HeyTaco! is to create more vibrant and positive communities. We do this by bringing people together through appreciation and celebration. 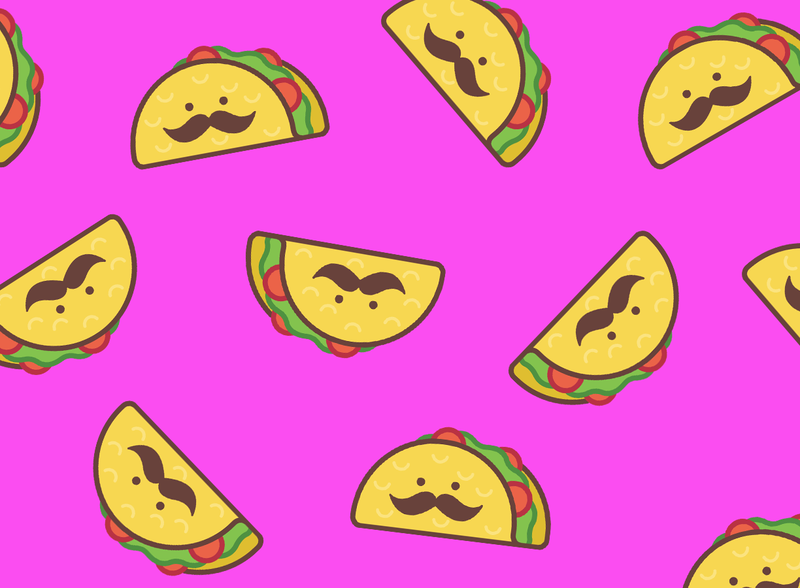 This article shares a few critical ingredients in building a taco business on Slack. It’s less about building an app and more about our growth mindset. We hope this helps others turn their Slack apps into businesses, too. Before focusing on HeyTaco! full time, we didn’t truly know our audience. We saw numbers, but we needed stories. What value were we creating? How were we improving people’s day-to-day lives? It was time to start building relationships if HeyTaco! was going to survive. Setting up customer meetings can be tricky, but we found a simple way — customer support. We realized each support question was an opportunity to start a relationship. It’s a handy guerrilla research tactic: Contact us, and we’ll ask about your taco experience. Also, no one is too senior to answer a support question. It helps develop an immense amount of product knowledge and empathy. It’s tied into app data, Groove HQ’s API and Slack’s API to help us cultivate relationships with any user. 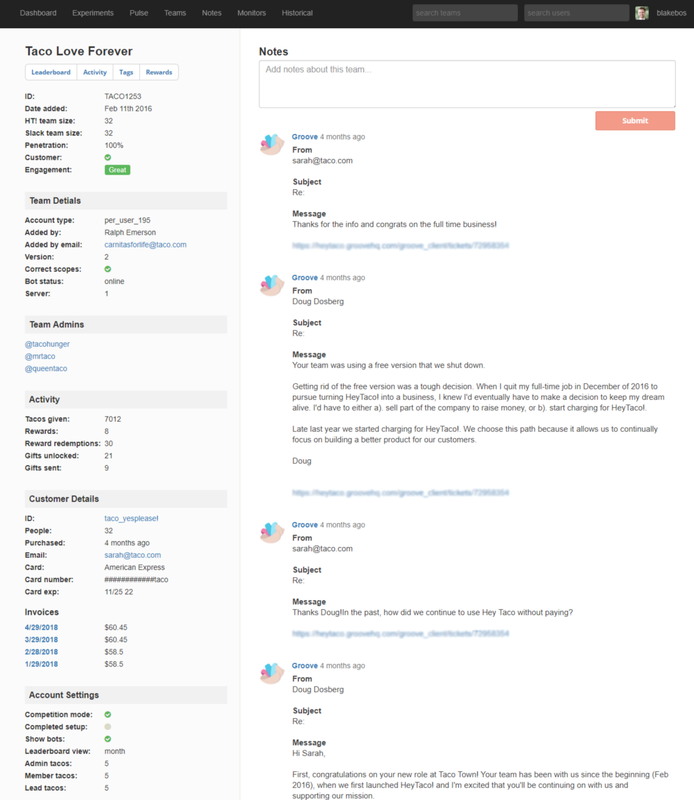 We wanted a way to organize information around a Slack workspace, so we can quickly view status and deliver top-notch customer service. If our business were a taco, customers would be the shell; everything would fall apart without them. The relationships we’re building have a huge influence on our approach to strategy, growth and adoption. Turning HeyTaco! into a business forced us to assess our market opportunity. We determined starting small and from the bottom was our best shot at taco success. 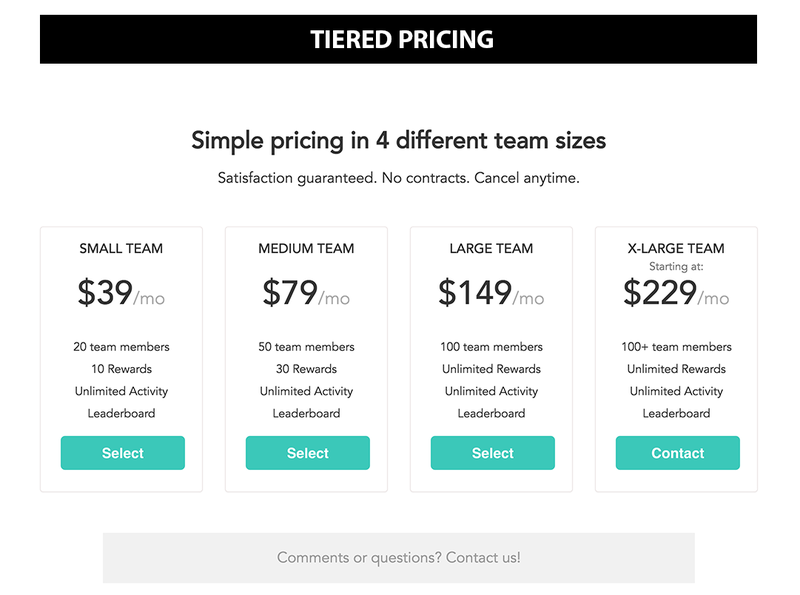 At the time, Slack had a lot of smaller teams on the platform. A huge team would occasionally install our app, but the median team was <20 people. This market opportunity aligned with our desire to build a business around a product with “bottoms-up” adoption. Bottoms-up adoption is where you start with one person who introduces the product to others. If the product is successful it spreads naturally throughout a team over time. Starting at the individual level emphasizes the importance of a pleasant first-time user experience. People must enjoy the experience for it to spread to others. We live and die by the value each person gets from the product. Longterm, the hope is that teams of all shapes and sizes use HeyTaco! to show recognition and celebrate. Focusing on smaller teams enables us to iterate and test faster across a higher volume of teams. And now that we have brought on a few larger customers, we’ve started learning how to scale. HeyTaco! offered a freemium business model for its first year. Our app was used for free to show appreciation, but users had to pay to create rewards. Talking with customers, we realized our secret sauce was recognition. People love recognizing each other with tacos. It’s fun, easy to do, and doesn’t require extra time or money. The challenge? Freemium created an incentive to focus only on rewards. We’d been ignoring recognition, our golden enchilada. The result? Moving to a paid-only model with a free trial period. 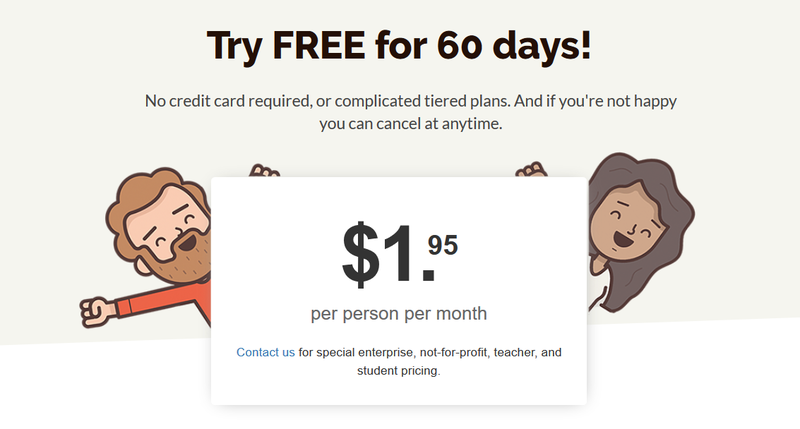 We optimized for learning with instant cancellation, monthly subscriptions and no annual plans. We don’t want to get paid, if the product isn’t working — that’s poor strategy. The shift to a free trial model resulted in +400% conversion and +50% retention rates. Altering what users paid for changed what success meant to them. Aligning values was mutually beneficial. With economics aligned, tacos and revenue continued to grow. Since January of 2018, we’ve been cashflow positive each month. Chat platforms with APIs have enabled us to help people do old things better. They’ve also introduced all sorts of new problems to solve. New tools are a wellspring for innovation and invention, which makes Slack an oasis for entrepreneurs looking to help people. Want to bring your team closer together? Check out HeyTaco! — it will help your team recognize each other, have a little fun and celebrate. Product design, bicycle, family, taco, and outdoor loving human. Co-founder and Head of Taco Experience at HeyTaco!, LLC.